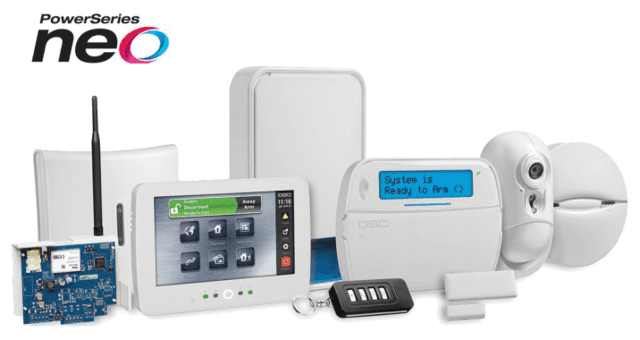 Do you want simplicity when controlling your alarm system? From experience we know that when it comes to using your security system it needs to be easy and reliable. Be confident that the security systems we use are reputable brands which we have found to be reliable and when your alarm monitoring is arranged through us we are also notified of any issues that arise and can therefore be proactive in helping you. Whether you prefer the ease of a remote to set and unset your system therefore eliminating the need to remember codes, or the use of a keypad we can design a system to meet your requirements. We have both standard and pet friendly motion sensors to detect any movement within your home or business, and smoke detectors which detect heat and/or smoke which we can connect to your alarm system. In the event of a smoke activation all internal and external sirens will sound to alert you and your neighbours to the danger and if you have a monitored alarm system then the monitoring station will also be advised. Relax knowing that your security system is monitored 24/7. We can provide monitoring options to suit all your residential, commercial and educational requirements. Just contact us and let’s talk about your project.